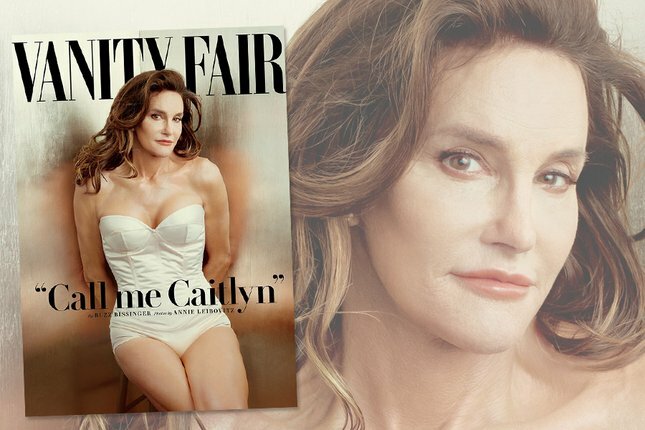 Yet another story in the news surrounding the Caitlyn Jenner Vanity Fair cover. This one’s about high school kids whose pictures were omitted from the yearbook for clothing choices they made. Specifically, for girls who chose to wear black tuxedos instead of the requisite black drape. Since this whole CJ saga is creating a swirl of commentary and questions around self-expression, I might as well add my two cents to the swirl. There’s a fine line between expressing yourself, and crossing lines that exist to keep things ‘uniform.’ I mean that quite literally. I wore a uniform from 6th through 12th grades. And I loved it, because it cut down valuable time in the mornings standing in front of the closet deciding what to wear. As a lover of fashion and how clothes are cut and put together on the body (it IS an art form, and like any good art, it takes time to create aesthetic appeal), I’m pretty aware of the time sink hole often created when I’m trying to craft the perfect ensemble. 7:43am: approach closet. 8:23am: run from closet, while sliding on second shoe, perfect outfit nailed, half of closet lying askew on the bed. No time to meditate or make my green smoothie. Crap. I can say with confidence that back in school, those formative years of my learning and growth, it was more Important to get sleep, eat a good breakfast, meditate, or finish the last bits of cramming for a test, than idle away hours in front of the closet. The uniform gave me freedom to express the things that were most important to express at that time: the inner workings of my mind (not the outer workings of my bod). So while it’s important to give our young people freedom to express themselves, and make sure they feel completely comfortable in their skins, if we condone the idea that what one is wearing on the outside has as much bearing on identity and sense of self as what’s going on inside, we’re definitely sending the wrong message. Thing is, when everyone is dressed the same, it drowns out some of the noise, levels the playing field, and primes everyone to focus inward. Either way, CJ has gotten an interesting debate started, and allowed me to speak my voice too. You’re reading what I’m writing; clothing doesn’t even enter the picture. And that’s how it should be.